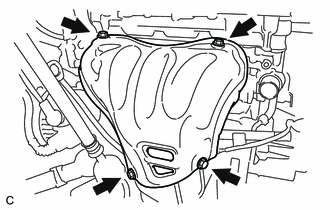 Wear protective gloves when removing the exhaust pipe. The exhaust pipe is extremely hot immediately after the engine has stopped. Confirm that the exhaust pipe has cooled down before removing it. 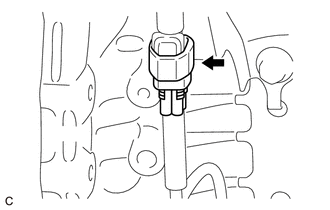 (a) Disconnect the heated oxygen sensor connector. 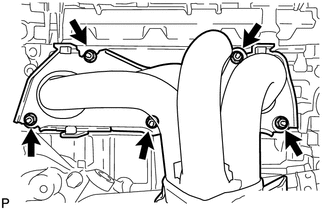 (b) Remove the 4 bolts, 2 compression springs and front exhaust pipe assembly from the exhaust manifold converter sub-assembly and center exhaust pipe assembly. 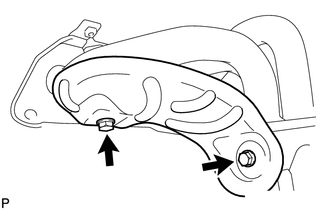 (c) Remove the 2 gaskets from the exhaust manifold converter sub-assembly and center exhaust pipe assembly. 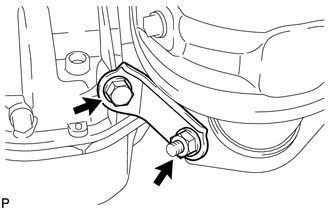 (a) Remove the bolt, nut and manifold stay from the exhaust manifold converter sub-assembly and stiffening crankcase assembly. 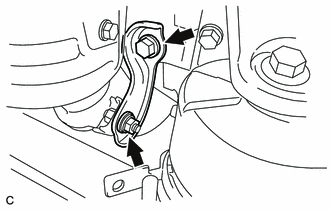 (a) Remove the bolt, nut and No. 2 manifold stay from the exhaust manifold converter sub-assembly and stiffening crankcase assembly. (a) Remove the 4 bolts and No. 1 exhaust manifold heat insulator from the exhaust manifold converter sub-assembly. 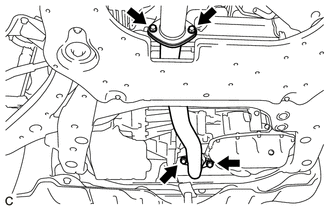 (a) Remove the 5 nuts and exhaust manifold converter sub-assembly from the cylinder head sub-assembly. 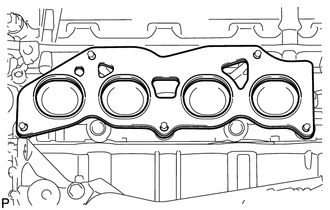 (b) Remove the gasket from the cylinder head sub-assembly. 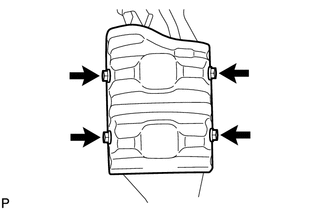 (a) Remove the 2 bolts and No. 2 exhaust manifold heat insulator from the exhaust manifold converter sub-assembly. (a) Remove the 4 bolts and No. 1 manifold converter insulator from the exhaust manifold converter sub-assembly.